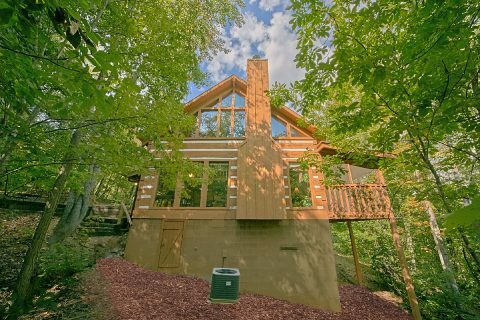 Looking for a peaceful vacation getaway for fully experiencing the beauty of the Smoky Mountains? 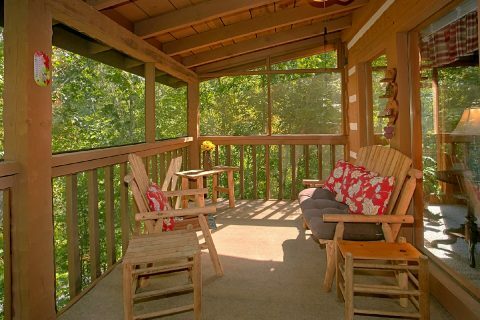 Explore "A Hummingbird Hideaway!" 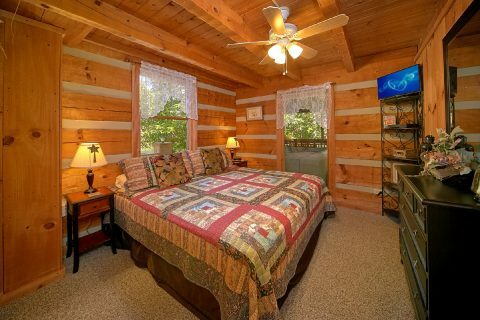 This comfortable cabin rental rests only a short drive from Pigeon Forge in the Bluff Mountain road area of the Smokies. 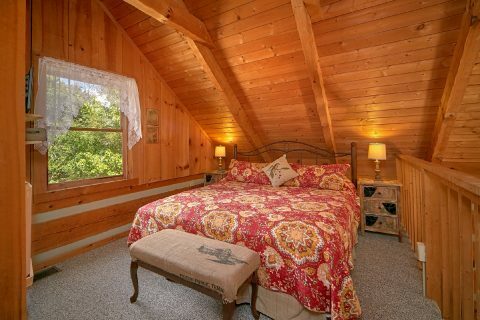 This two bedroom cabin boasts 2 king-sized bedrooms and an extra sleeper sofa in the living room. 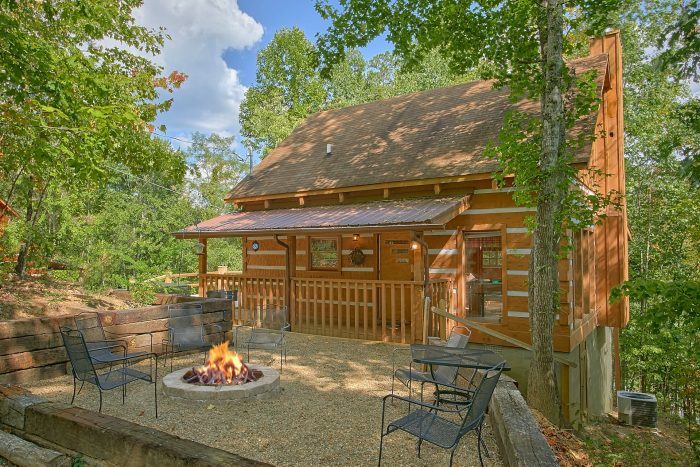 Your cabin sleeps up to 6 guests in comfort, so it's ideal for a romantic getaway or a fun weekend trip with friends. 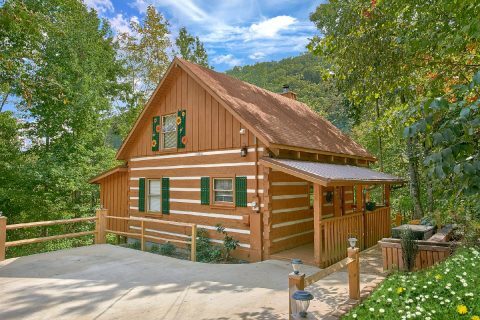 This cabin's tranquil part of the mountains is only 6 miles from Downtown Pigeon Forge, where you'll find excellent attractions like Dollywood, the Old Mill, and the Titanic Museum. 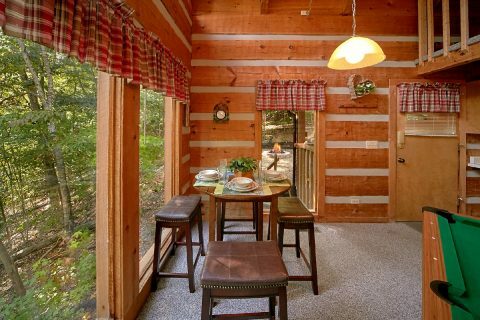 As an added perk, guests will also enjoy quick access to the mountain town of Wears Valley, a picturesque community located just outside of the Great Smoky Mountains National Park with lots of hidden gems to explore. 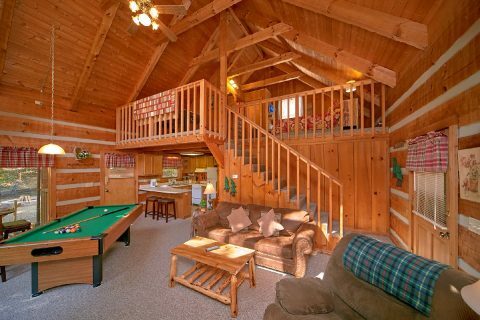 When you return to your cabin after a day exploring the mountains, you'll find plenty of ways to relax. 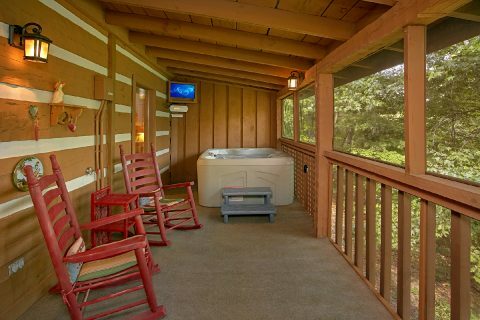 To rest your weary bones, you can enjoy a relaxing soak in the hot tub on the screened-in deck with forested views. 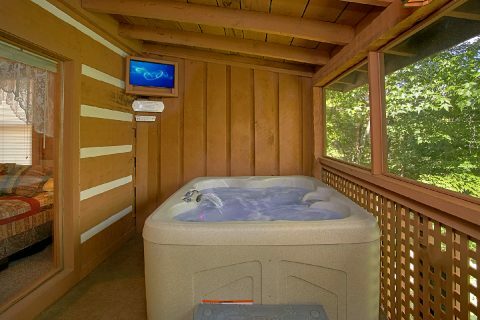 There's even a television near the hot tub, so you can watch the big game while you let the steamy waters carry your worries away. 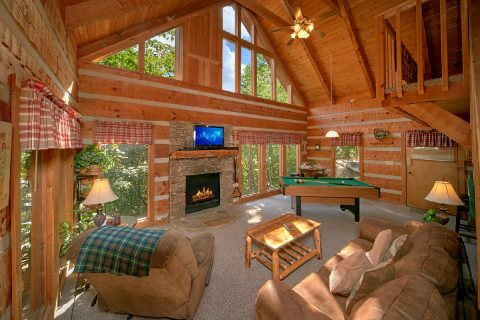 For a laid-back movie night, you can enjoy watching your favorite movies in the open floor-plan living area with a television above the gas fireplace's mantel. 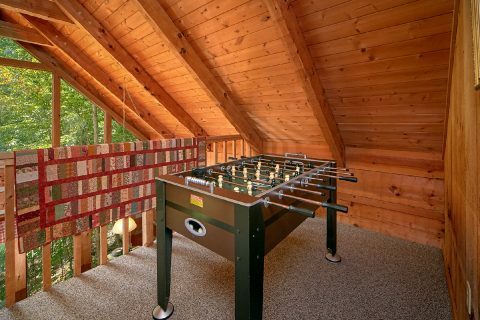 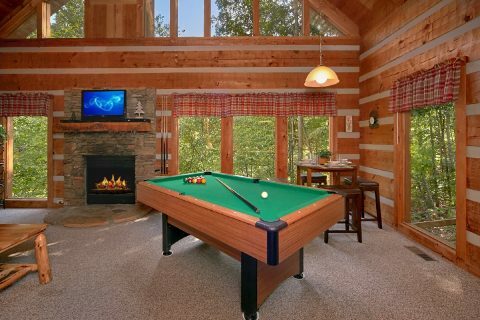 For some friendly competition, you can enjoy playing billiards on the pool table or fun games of foosball in your cabin. 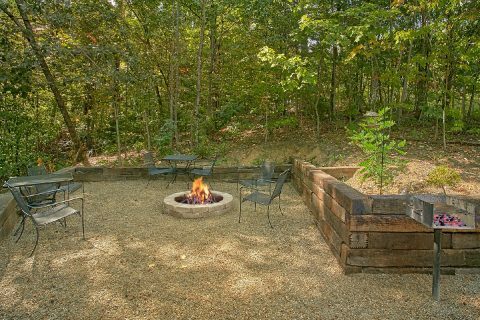 Or why not enjoy a fun night underneath the stars with your friends by the outdoor fire pit? 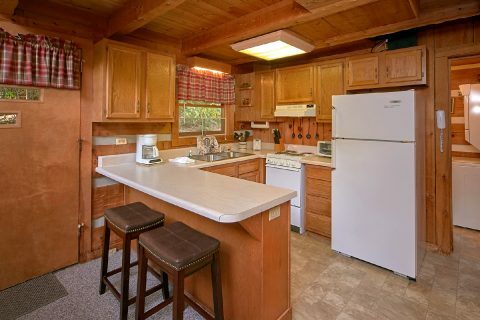 Your cabin also boasts several practical amenities to make your vacation truly carefree. 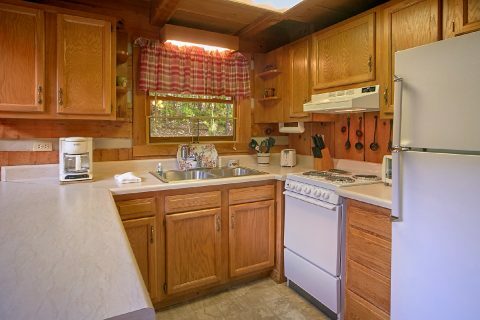 The full kitchen with a breakfast bar and charcoal grill ensures it's easy to prepare delicious meals in the comfort of your cabin. 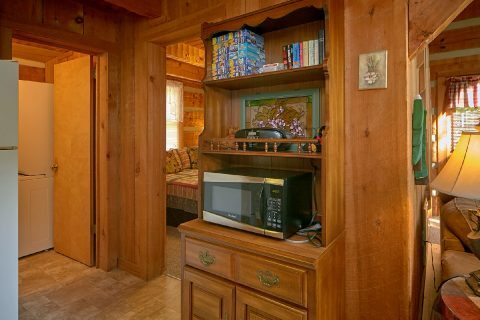 WiFi Internet access in your cabin ensures you can research fun attractions and activities to see during your trip. 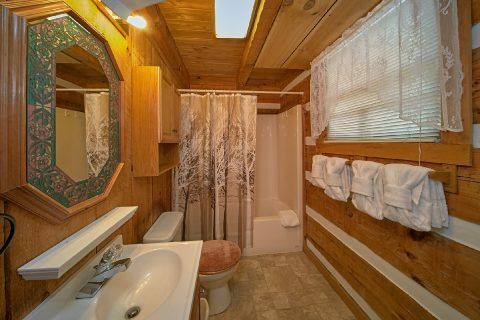 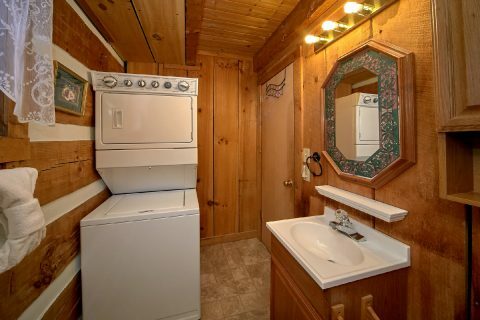 This cabin also offers level, paved parking for two vehicles and a washer-dryer for guests to use. 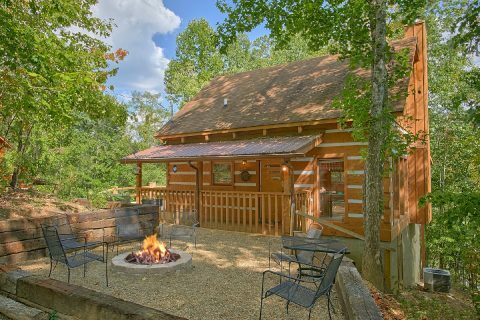 Book your cabin near Bluff Mountain road in Pigeon Forge to experience the peaceful side of the Smokies, while also staying only minutes away from all the action! 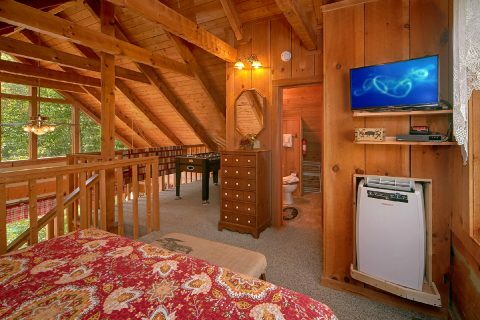 Book today to earn a special discount on your nightly rate.